York leads the HVAC industry with more then 130 years of design and innovation. In fact, we developed the first successful room air conditioner and cooled the world's first theater, hotel and office building. Today, the York® brand is backed by the major resources of Johnson Controls, experts in comfort and control for indoor environments. Be sure of selling more with York® products that bear the Good Housekeeping Seal, which assures customers with product replacement or refund of the purchase price if the product proves to be defective within two years from the date sold by an authorized dealer. Most York® products meet or exceed U.S. Environmental Protection Agency energy efficiency standards to qualify as an ENERGY STAR® product. That means when customers compare them with standard models, our ENERGY STAR® products provide a higher level of sustainability, cutting electricity consumption and cost. 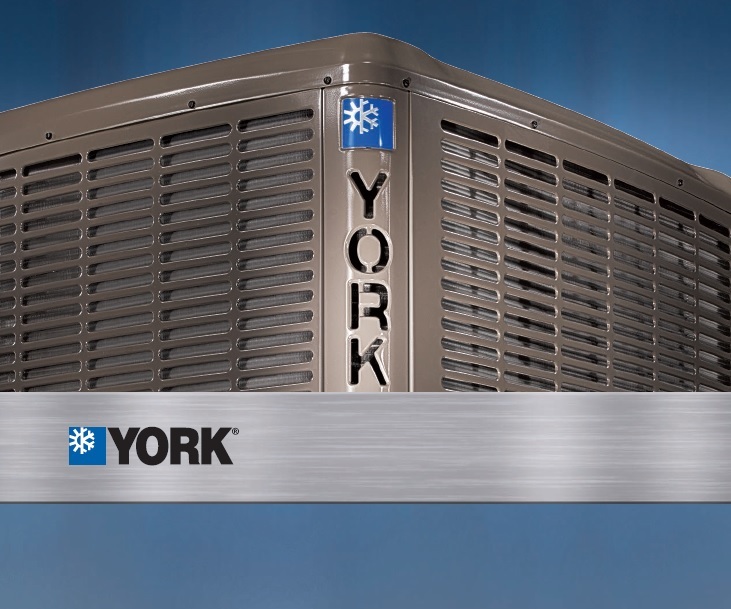 Select York® air conditioners and heat pumps using R-410A include a 10-year limited warranty on the compressor and parts as standard coverage (when the customer registers qualifying products online within 90 days of installation). Plus, you profit by offering excellent extended warranties. York helps you sell product reliability by building strength and durability into our outdoor units. Like enhanced coil protection, which includes an advanced coil guard and polymer mesh screen. Both add the ultimate in protection while keeping the coil free of debris. Your one stop source for Electric Motors, Air Moving Products, HVAC and Refrigeration Parts and Equipment, Pumps, Power Transmission and Atomation.